Please note that the office will be closed as of July 30 and will reopen on August 8. 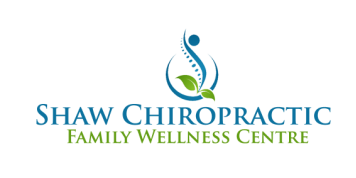 Welcome to Shaw Chiropractic Family Wellness Centre! Our interest is in your health and wellness. Through the information on this website, we hope to educate and provide some insight and understanding into how the care we provide can improve your life. Started over 25 years ago by Dr. Greg Shaw, our practice is conveniently located in central Oakville to serve those interested in the natural healing of chiropractic care. We look forward to guiding and accompanying you on your journey to optimal health and well being. ​Our bodies are meant to be healthy and our nervous system controls that health - it connects everything that goes on in our body and allows us to experience the world. Symptoms are a message from the wisdom of our body; they are not typically a message that we lack a medication, but rather that something needs to change. This change may involve work, lifestyle, or stress caused by anything from the foods we eat to the chemicals in our environment to day-to-day physical activities. These stresses distort the function of the nervous system and, like a dimmer switch turning down the power to the lights, the body’s ability to fix itself is diminished. Regular chiropractic adjustments and a holistic view of the body can help release the overload of stress from your body. We look at you as a whole person and bring our own experiences to our care for you. The gentle, non-cracking chiropractic we use works. If it is not working as well as expected, then we will strive to help figure out what will work to help you on your journey to optimal health. The hope and optimism you will experience in our open, positive environment will be just what you need to take the first steps in the healing process. Interested in learning more? Contact us to book a consultation with Dr. Shaw.